Today is Black Friday! And if you are those people who don’t like it, this video is for you! 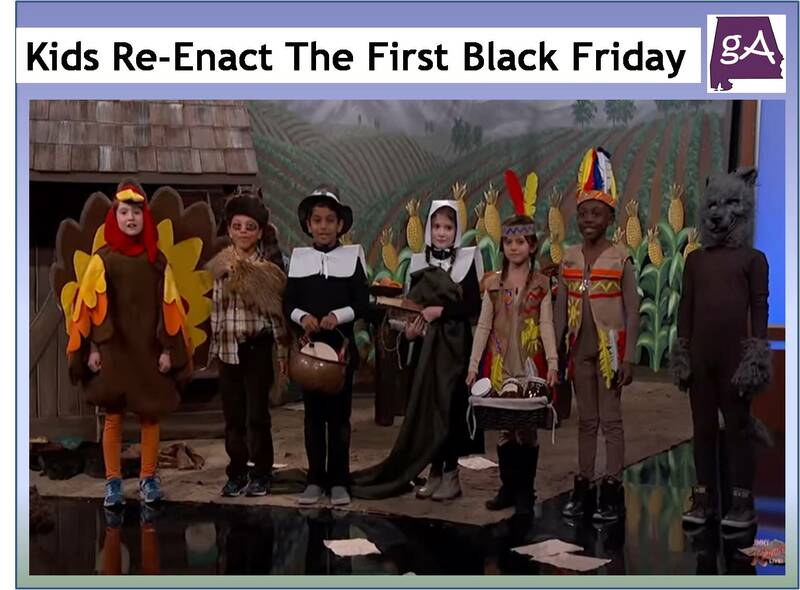 Jimmy Kimmel Live invited students from Edward James Olmos Elementary in Montebello, CA to re-enact the first Black Friday way back in the 1700’s when the pilgrims landed in North America. Yep, the kids did a great job, enjoy!